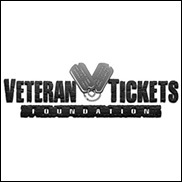 (Hypebot) – The Veteran Tickets Foundation (Vet Tix) has surpassed 3 million event tickets distributed to serving military, veterans and their families through the non-profit's Tickets for Troops program. Since its founding in 2008, non-profit Vet Tix has provided free tickets to more than 550,000 in the military community. Live Nation continues to be Vet Tix's top donor. As the largest live entertainment company in the world, Live Nation donates tickets to major concerts, comedy shows, family entertainment and other live events. "Providing veterans and their families with memorable experiences to Live Nation's concerts is a way for us to thank the military community for their sacrifices, said Michael Rapino, President and CEO of Live Nation Entertainment. "We're thrilled that we were able to contribute to Vet Tix's milestone of 3 million tickets distributed and hope to see that number continue to grow in the years to come." This week, the three millionth ticket was given to two VetTixers who on Friday enjoyed a Yankees-Orioles matchup from prime seats in the Jim Beam Section behind the dugout at Yankee Stadium. A U.S. Army veteran, Robert Hanna, along with currently serving Army VetTixer, Edward Dowgin, received the 3 millionth ticket to the MLB game.